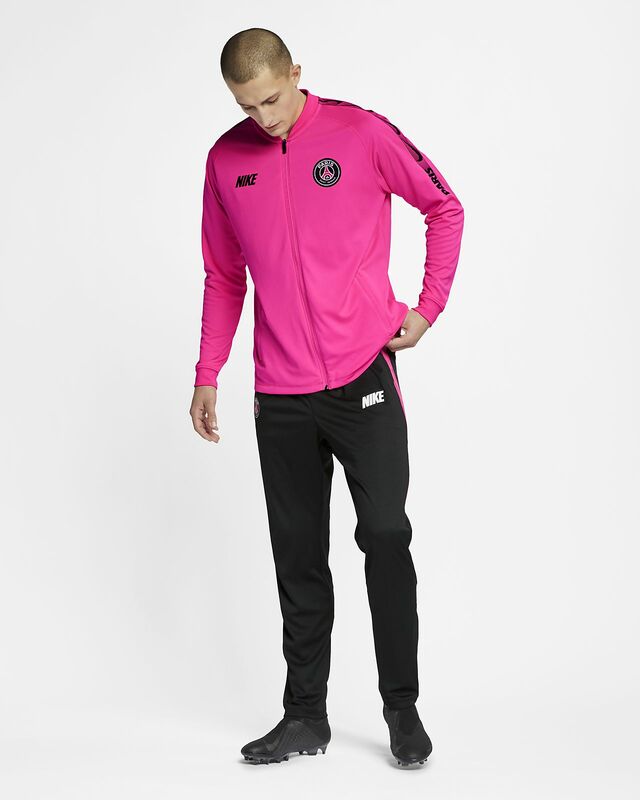 The Paris Saint-Germain Dri-FIT Squad Men's Football Track Suit features team details on stretchy, sweat-wicking fabric to help keep you dry and comfortable in the stands or on the pitch. Zip leg cuffs make it easy to change with boots or shoes. Zip pockets on the jacket and pants store your gear. 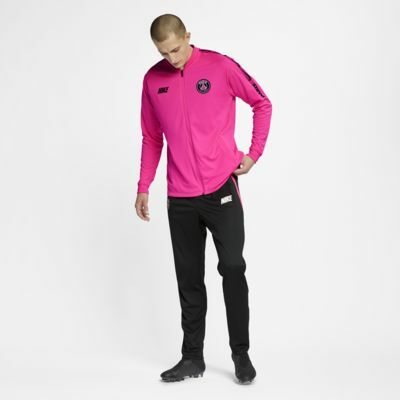 The Paris Saint-Germain Dri-FIT Squad Men&apos;s Football Track Suit features team details on stretchy, sweat-wicking fabric to help keep you dry and comfortable in the stands or on the pitch. Zip leg cuffs make it easy to change with boots or shoes. Zip pockets on the jacket and pants store your gear. Zip leg cuffs for quick changes. Fabric: Jacket: Body: 100% polyester. Rib: 97% polyester/3% elastane. Pants: 100% polyester. Have your say. Be the first to review the Paris Saint-Germain Dri-FIT Squad.